I’ve been giving some more thought to the idea of “good enough” as one of the criteria for defining minimum viable/valuable products. I still stand by everything I wrote in my original “The Value of ‘Good Enough’” article. What’s different is that I’ve started to use the phrase “good enough for now.” Reason being, the phrase “good enough” seems to imply an end state. If it is early in a project, people generally have a problem with that. They have some version of an end state that is a significant mismatch with the “good enough” product today. The idea of settling for “good enough” at this point makes it difficult for them to know when to stop work on an interim phase and collect feedback. “Good enough for now” implies there is more work to be done and the product isn’t in some sort of finished state that they’ll have to settle for. I’m finding that I can more easily gain agreement that a story is finished and get people to move forward to the next “good enough for now” by including the time qualifier. Every once and a while it’s good to take a tool out of it’s box and find out if it’s still fit for purpose. Maybe even find if it can be used in a new way. I recently did this with the practice of sizing spikes with story points. I’ve experienced a lot of different projects since last revisiting my thinking on this topic. So after doing a little research on current thinking, I updated an old set of slides and presented my position to a group of scrum masters to set the stage for a conversation. My position: Estimating spikes with story points is a vanity metric and teams are better served with time-boxed spikes that are unsized. While several colleagues came with an abundance of material to support their particular position, no one addressed the points I raised. So it was a wash. My position hasn’t changed appreciably. But I did gain from hearing several arguments for how spikes could be used more effectively if they were to be sized with story points. And perhaps the feedback from this article will further evolve my thinking on the subject. The phrase “cannot be well estimated” is suggestive. If the work cannot be well estimated than what is the value of estimating it in the first place? Any number placed on the spike is likely to be for the most part arbitrary. Any number greater than zero will therefore arbitrarily inflate the sprint velocity and make it less representative of the value being delivered. It may make the team feel better about their performance, but it tells the stakeholders less about the work remaining. No where can I find a stated purpose of Agile or scrum to be making the team “feel better.” In practice, by masking the amount of value being delivered, the opposite is probably true. The scrum framework ruthlessly exposes all the unhelpful and counterproductive practices and behaviors an unproductive team may be unconsciously perpetuating. Forty points of genuine value delivered at the end of a sprint is 100% of rubber on the road. Forty points delivered of which 10 are points assigned to one or more spikes is 75% of rubber on the road. The spike points are slippage. If they are left unpointed then it is clear what is happening. A spike here and there isn’t likely to have a significant impact on the velocity trend over, for example, 8 or 10 sprints. One or more spikes per sprint will cause the velocity to sink and suggests a number of corrective actions – actions that may be missed if the velocity is falsely kept at a certain desired or expected value. In other words, pointing spikes hides important information that could very well impact the success of the project. Bad news can inspire better decisions and corrective action. Falsely positive news most often leads to failures of the epic variety. Team A has decided to add story points to their spikes. Immediately they run into several significant challenges related to the design and the technology choices made. So they create a number of spikes to find the answers and make some informed decision. The design and technology struggles continue for the next 10 sprints. Even with the challenges they faced, the team appears to have quickly established a stable velocity. If the scrum master were to use just the velocity numbers it would appear Team A is going to finish their work in about 14 sprints. This might be true if Team A were to have no more spikes in the remaining sprints. The trend, however, strongly suggests that’s not likely to happen. If a team has been struggling with design and technical issues for 10 sprints, it is unlikely those struggles will suddenly stop at sprint 11 and beyond unless there have been deliberate efforts to mitigate that potential. 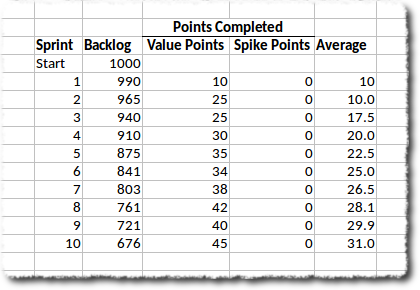 By pointing spikes and generating a nice-looking velocity chart it is more probable that Team A is unaware of the extent to which they may be underestimating the amount of time to complete items in the backlog. Team B finds themselves in exactly the same situation as Team A. They immediately run into several significant challenges related to the design and the technology choices made and create a number of spikes to find the answers and make some informed decision. However, they decided not to add story points to their spikes. The design and technology struggles continue for the next 10 sprints. The data show that Team B is clearly struggling to establish a stable velocity. However, it looks like it’s going to take Team B 21 more sprints to complete the work. That they’re struggling isn’t good. That it’s clear they struggling is very good. This isn’t apparent with Team A’s velocity chart. Since it’s clear they are struggling it is much easier to start asking questions, find the source of the agony, and make changes that will have a positive impact. It is also much more probably that the changes will be effective because they will have been based on solid information as to what the issues are. Less guess work involved with Team B than with Team A. 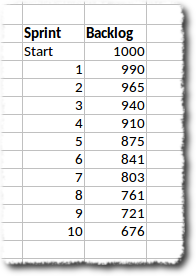 Using the average from the parsed burndown, it is much more likely that Team A will need 21 additional sprints to complete the work. And for Team B? The picture of the future based on the backlog burndown is a close match to the picture from the velocity data, about 22 sprints to complete the work. If you were a product owner, responsible for keeping the customer informed of progress, which set of numbers would you want to base your report on? Would you rather surprise the customer with a “sudden” and extended delay or would you rather communicate openly and accurately? Increases the probability that performance metrics will reveal problems sooner and thus allow for corrective actions to be taken earlier in a project. The team’s velocity and backlog burndown is a more accurate reflection of value actually being created for the customer and therefore allows for greater confidence of any predictions based on the metrics. I’m interested in hearing your position on whether or not spikes should be estimated with story points (or some other measure.) I’m particularly interested in hearing where my thinking described in this article is in need of updating. If you truly value openness on your Agile teams, you must untangle them from the grapevine. This is a very broad statement, encompassing not only openness around work products and processes, but also each individual’s responsibility for ensuring that any challenges related to overall team performance are identified, acknowledged, and resolved. In my experience, issues with openness related to work products or the processes that impact them are relatively straightforward to recognize and resolve. If a key tool, for example, is mis-configured or ill-suited to what the team needs to accomplish than the need to focus on issues with the tool should be obvious. If there is an information hoarder on the team preventing the free flow of information, this will reveal itself within a few sprints after a string of unknown dependencies or misaligned deliverables have had a negative impact on the team’s performance. Similarly, if a team member is struggling with a particular story card and for whatever reason lacks the initiative to ask for help, this will reveal itself in short order. Satisfying the need for openness around individual and team performance, however, is a much more difficult behavior to measure. Everyone – and by “everyone” I mean everyone – is by nature very sensitive to being called out as having come up short in any way. Maybe it’s a surprise to them. Maybe it isn’t. But it’s always a hot button. As much as we’d like to avoiding treading across this terrain, it’s precisely this hypersensitivity that points to where we need to go to make the most effective changes that impact team performance. At the top of my list of things to constantly scan for at the team level are the degrees of separation (space and time) between a problem and the people who are part of the problem. Variously referred to as “the grapevine”, back channeling, or triangulation, it can be one of the most corrosive behaviors to a team’s trust and their ability to collaborate effectively. From his research over the past 30 years, Joseph Grenny  has observed “that you can largely predict the health of an organization by measuring the average lag time between identifying and discussing problems.” I’ve found this to be true. Triangulation and back-channeling adds significantly to the lag time. Indeed it was. Someone told someone who told the scrum master who then told me. Knowing this, I retracted my request for the scrum master to pass along my request. The problem here was the grapevine and a different tack was needed. I coached the scrum master to 1) never bring something like this to me again, 2) inform the person who told you this tale that you will not be passing anything like this along to me in the future, and 3) to coach that person to do the same to the person who told them. The person for whom this was an issue should either come to me directly or to my manager. I then coached my manager and my product owners that if anyone were to approach them with a complaint like this to listen carefully to the person, acknowledge that you heard them, and to also encourage them to speak directly with me. This should be the strategy for anyone with complaints that do not rise to the level of needing HR intervention. The goal of this approach is to develop behaviors around personal complaints such that everyone on the team knows they have a third person to talk to and that the issue isn’t going to be resolved unless they talked directly to the person with whom they have an issue. It’s a good strategy for cutting the grapevines and short circuiting triangulation (or in my case the quadrangulation.) To seal the strategy, I gave a blanket apology to each of my teams the following Monday and let them know what I requested of my manager and product owners. The objective was to establish a practice of resolving issues like this at the team level. It’s highly unlikely (and in my case 100% certain) that a person new to a job would have prior knowledge of sensitive words and purposely use language that upsets their new co-workers. The presupposition of malice or an assumption that a new hire should know such things suggested a number of systemic issues with the teams, something later revealed to be accurate. It wouldn’t be a stretch to say that in this organization the grapevine supplanted instant messaging and email as the primary communication channel. With the cooperation of my manager and product owners, several sizable branches to the grapevine had been cut away. Indeed, there was a marked increase in the teams attention at stand-ups and the retrospectives became more animated and productive in the weeks that followed. Each situation is unique, but the intervention pattern is more broadly applicable: Reduce the number of node hops and associated lag time between the people directly involved with any issues around openness. This in and of itself may not resolve the issues. It didn’t in the example described above. But it does significantly reduce the barriers to applying subsequent techniques for working through the issues to a successful resolution. Removing the grapevine changes the conversation. The “bad” word was “refinement.” The team had been using the word “grooming” to refer to backlog refinement and I had suggested we use the more generally accepted word. Apparently, a previous scrum master for the team had been, shall we say, overly zealous in pressing this same recommendation such that it was a rather traumatic experience for someone on the one of the teams. It later became known that this event was grossly exaggerated, “crying PTSD” as a variation of “crying wolf,” and that the reporting scrum master was probably working to establish a superior position. It would have worked, had I simply cowered and accepted the report as complete and accurate. The strategy described in this article proved effective at preventing this type of behavior. Attended the Agile Alliance‘s OnAgile 2017 Conference yesterday. This is always an excellent conference and you can’t beat the price! I created a mind map throughout the course of the conference as a way to organize my thoughts and key points. This doesn’t capture all the points by any means. Just those that stood out as important or new for me. I missed most of the first session due to connectivity issues. I recently resigned from the company I had been employed by for over 5 years. The reason? It was time. During my tenure1 I had the opportunity to re-define my career several times within the organization in a way that added value and kept life productive, challenging, and rewarding. 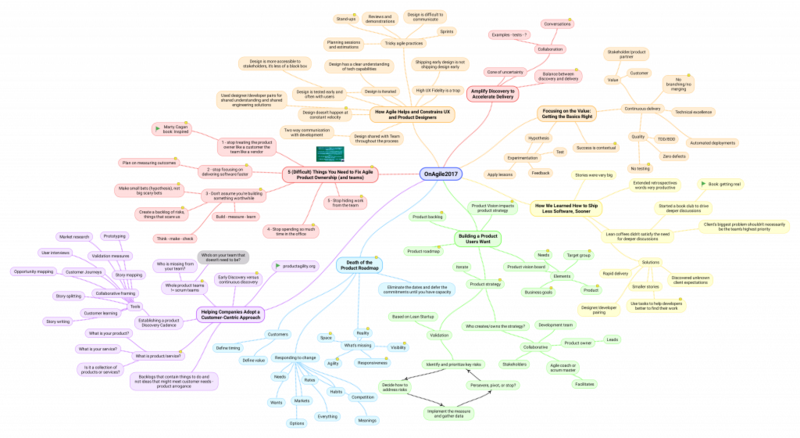 Each re-definition involved a rather extensive mind mapping exercises with hundreds of nodes to described what was working, what wasn’t working, what needed fixing, and where I believed I could add the highest value. This past spring events prompted another iteration of this process. It began with the question “What wouldn’t happen if I didn’t go to work today?”2 This is the flip of asking “What do I do at work?” The latter is a little self-serving. We all want to believe we are adding value and are earning our pay. The answer is highly filtered through biases, justifications, excuses, and rationalizations. But if in the midsts of a meeting you ask yourself, “What would be different if I were not present or otherwise not participating?”, the answer can be a little unsettling. This time around, in addition to mind mapping skills, I was equipped with the truly inspiring work of Tanmay Vora and his sketchnote project. Buy me a beer some day and I’ll let you in on a few of my discoveries. Suffice it to say, the overall picture wasn’t good. I was getting the feeling this re-definition cycle was going to include a new employer. Is this work aligned with my purpose? Have my purpose and life goals changed? Of course, it wasn’t this simple. The organization changed, as did I, in a myriad of ways. While exploring these questions, I was reminded of a story my Aikido teacher, Gaku Homma, would tell when describing his school. He said it was like a rope. In the beginning, it had just a few threads that joined with him to form a simple string. Not very strong. Not very obvious. But very flexible. Over time, more and more students joined his school and wove their practice into Nippon Kan’s history. Each new thread subtlety changed the character of the emerging rope. More threads, more strength, and more visibility. Eventually, an equilibrium emerges. Some of those threads stop after a few short weeks of classes, other’s (like mine) are 25 years long before they stop, and for a few their thread ends in a much more significant way. Homma Sensi has achieved something very difficult. The threads that form Nippon Kan’s history are very strong, very obvious, and yet remain very flexible. Even so, there came a time when the right decision for me was to leave, taking with me a powerful set of skills, many good memories, and friendships. The same was true for my previous employer. Their rope is bending in a way that is misaligned with my purpose and goals. Neither good nor bad. Just different. Better to leave with many friendships intact and a strong sense of having added value to the organization during my tenure. The world is full of opportunities. And sometimes you have to deliberately and intentionally clear all the collected clutter from your mental workspace so those opportunities have a place to land. Be attentive to moments like this before your career is remembered only as someone who yells at clouds and tilts at windmills. 2 My thanks to colleague Lennie Noiles and his presentation on Powerful Questions. While Lennie didn’t ask me this particular question, it was inspired by his presentation. Mindfulness? There’s an app for that! Estimating levels of effort for a set of tasks by a group of individuals well qualified to complete those tasks can efficiently and reliable be determined with a collaborative estimation process like planning poker. Such teams have a good measure of skill overlap. In the context of the problem set, each of the team members are generalist in the sense it’s possible for any one team member to work on a variety of cross functional tasks during a sprint. Differences in preferred coding language among team members, for example, is less an issue when everyone understands advanced coding practices and the underlying architecture for the solution. With a set of complimentary technical skills it’s is easier agree on work estimates. There are other benefits that flow from well-matched teams. A stable sprint velocity emerges much sooner. There is greater cross functional participation. And re-balancing the work load when “disruptors” occur – like vacations, illness, uncommon feature requests, etc. – is easier to coordinate. Once the set of tasks starts to include items that fall outside the expertise of the group and the group begins to include cross functional team members, a process like planning poker becomes increasingly less reliable. The issue is the mismatch between relative scales of expertise. A content editor is likely to have very little insight into the effort required to modify a production database schema. Their estimation may be little more than a guess based on what they think it “should” be. Similarly for a coder faced with estimating the effort needed to translate 5,000 words of text from English to Latvian. Unless, of course, you have an English speaking coder on your team who speaks fluent Latvian. These distinctions are easy to spot in project work. When knowledge and solution domains have a great deal of overlap, generalization allows for a lot of high quality collaboration. However, when an Agile team is formed to solve problems that do not have a purely technical solution, specialization rather than generalization has a greater influence on overall success. The risk is that with very little overlap specialized team expertise can result in either shallow solutions or wasteful speculation – waste that isn’t discovered until much later. Moreover, re-balancing the team becomes problematic and most often results in delays and missed commitments due to the limited ability for cross functional participation among team mates. The challenge for teams where knowledge and solution domains have minimal overlap is to manage the specialized expertise domains in a way that is optimally useful, That is, reliable, predictable, and actionable. Success becomes increasingly dependent on how good an organization is at estimating levels of effort when the team is composed of specialists. One approach I experimented with was to add a second dimension to the estimation: a weight factor to the estimator’s level of expertise relative to the nature of the card being considered. The idea is that with a weighted expertise factor calibrated to the problem and solution contexts, a more reliable velocity emerges over time. In practice, was difficult to implement. Teams spent valuable time challenging what the weighted factor should be and less experienced team members felt their opinion had been, quite literally, discounted. I’ve also observed that by focusing ownership of the estimate on the work assignee, accountability and transparency tend to increase. Potential blockers are surfaced sooner and team members communicate issues and dependencies more freely with each other. Of course, this isn’t always the case and in a future post we’ll explore aspects of team composition and dynamics that facilitate or prevent quality collaboration. What does Agile documentation look like? 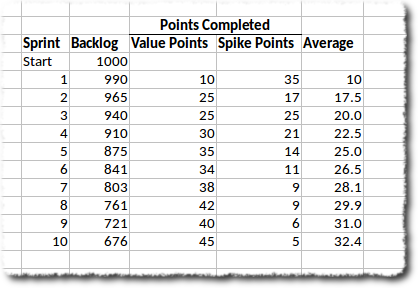 We completed the highest number of points in this sprint than in any other sprint so far. This was a team that lost sight of the fact they were the only team on the field. They were certain to be the winning team. They were also destine to be he losing team. They were focused on story point acceleration rather than a constant, predictable velocity. More and more I’m finding less and less value in using story points as an indicator for level of effort estimation. 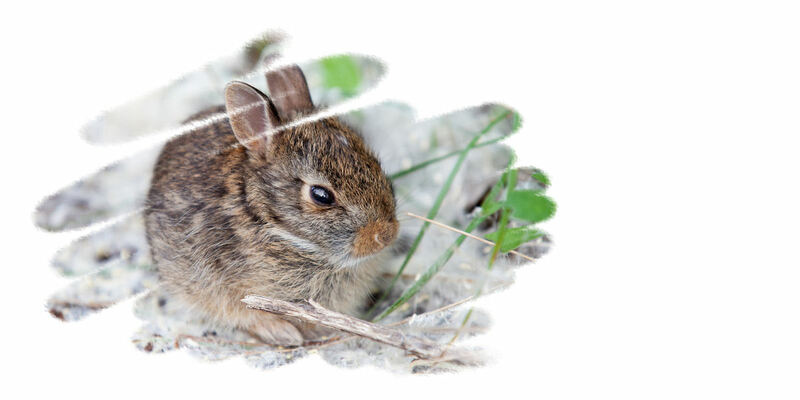 If Atlassian made it easy to change the label on JIRA’s story point field, I’d change it to “Fuzzy Bunnies” just to drive this idea home. You don’t want more and more fuzzy bunnies, you want no more than the number you can commit to taking care of in a certain span of time typically referred to as a “sprint.” A team that decides to take on the care and feeding of 50 fuzzy bunnies over the next two weeks but has demonstrated – sprint after sprint – they can only keep 25 alive is going to lose a lot of fuzzy bunnies over the course of the project. It is difficult for people new to scrum or Agile to grasp the purpose behind an abstract idea like story points. Consequently, they are unskilled in how to use them as a measure of performance and improvement. Developing this skill can take considerable time and effort. The care and feeding of fuzzy bunnies, however, they get. Particularly with teams that include non-technical domains of expertise, such as content development or learning strategy. A note here for scrum masters. Unless you want to exchange your scrum master stripes for a saddle and spurs, be wary of your team turning story pointing into an animal farm. Sizing story cards to match the exact size and temperament from all manner of animals would be just as cumbersome as the sporting method of story points. So, watch where you throw your rope, Agile cowboys and cowgirls. It is now known that a perfection of planned layout is achieved only by institutions on the point of collapse. This apparently paradoxical conclusion is based upon a wealth of archaeological and historical research, with the more esoteric details of which we need not concern ourselves. In general principle, however, the method pursued has been to select and date the buildings which appear to have been perfectly designed for their purpose. A study and comparison of these has tended to prove that perfection of planning is a symptom of decay. During a period of exciting discovery or progress there is no time to plan the perfect headquarters. The time for that comes later, when all the important work has been done. Perfection, we know, is finality; and finality is death. Several years back my focus for the better part of a year was on mapping out software design processes for a group of largely non-technical instructional designers. If managing software developers is akin to herding cats, finding a way to shepherd non-technical creative types such as instructional designers (particularly old school designers) can be likened to herding a flock of canaries – all over the place in three dimensions. What made this effort successful was framing the design process as a set of guidelines that were easy to track and monitor. The design standards and common practices, for example, consisted of five bullet points. Building just enough fence to keep everyone in the same area while limiting free range behaviors to specific places was important. These were far from perfect, but they allowed for the dynamic vitality suggested by Parkinson. If the design standards and common practices document ever grew past something that could fit on one page, it would suggest the company was moving toward over specialization and providing services to a narrow slice of the potential client pie. In the rapidly changing world of adult eduction, this level of perfection would most certainly suggest decay and risk collapse as client needs change. Conceptually, the idea of a minimum viable product (MVP) is easy to grasp. Early in a project, it’s a deliverable that reflects some semblance to the final product such that it’s barely able to stand on it’s own without lots of hand-holding and explanation for the customer’s benefit. In short, it’s terrible, buggy, and unstable. By design, MVPs lack features that may eventually prove to be essential to the final product. And we deliberately show the MVP to the customer! We do this because the MVP is the engine that turns the build-measure-learn feedback loop. The key here is the “learn” phase. The essential features to the final product are often unclear or even unknown early in a project. Furthermore, they are largely undefinable or unknowable without multiple iterations through the build-measure-learn feedback cycle with the customer early in the process. 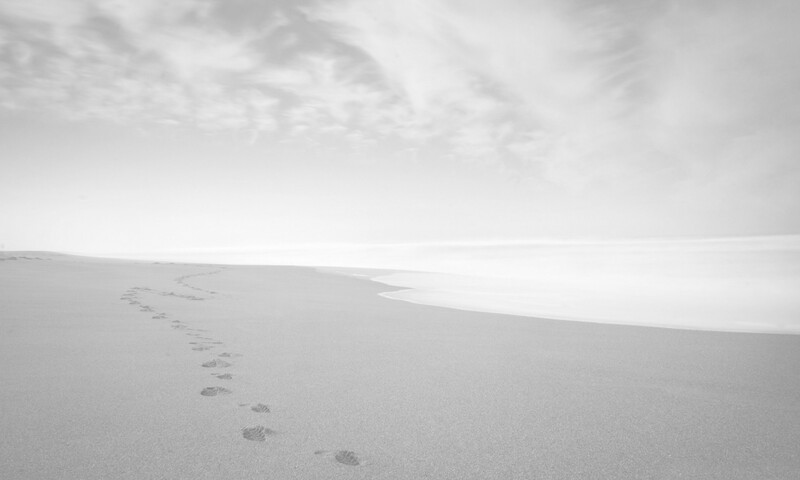 State the good faith assumptions about what the customer wants and needs. Describe the tests the MVP will satisfy that are capable of measuring the MVP’s impact on the stated assumptions. Build an MVP that tests the assumptions. If the assumptions are not stated and the tests are vague, the MVP will fail to achieve it’s purpose and will likely result in wasted effort. The “product” in “minimum viable product” can be almost anything: a partial or early design flow, a wireframe, a collection of simulated email exchanges, the outline to a user guide, a static screen mock-up, a shell of screen panels with placeholder text that can nonetheless be navigated – anything that can be placed in front of a customer for feedback qualifies as an MVP. In other words, a sprint can contain multiple MVPs depending on the functional groups involved with the sprint and the maturity of the project. As the project progresses, the individual functional group MVPs will begin to integrate and converge on larger and more refined MVPs, each gaining in stability and quality. MVPs are not an end unto themselves. They are tangible evidence of the development process in action. The practice of iteratively developing MVPs helps develop to skill of rapid evaluation and learning among product owners and agile delivery team members. A buggy, unstable, ugly, bloated, or poorly worded MVP is only a problem if it’s put forward as the final product. The driving goal behind iterative MVPs is not perfection, rather it is to support the process of learning what needs to be developed for the optimal solution that solves the customer’s problems. Identify the likely set of stakeholders who will be attending the sprint review. What will these stakeholders need to see so that they can offer valuable feedback? What does the team need to show in order to spark the most valuable feedback from the stakeholders? What expectations have been set for the stakeholders? Is the distinction clear between what the stakeholders want vs what they need? Is the distinction clear between high and low value? Is the design cart before the value horse? What are the top two features or functions the stakeholders will be expecting to see? What value – to the stakeholders – will these features or functions deliver? Will the identified features or functions provide long term value or do they risk generating significant rework down the road? Are the identified features or functions leveraging code, content, or UI/UX reuse? Since an MVP can be almost anything, it is perhaps easier to begin any conversation about MVPs by touching on the elements missing from an MVP. An MVP is not a quality product. Using any generally accepted definition of “quality” in the marketplace, an MVP will fail on all accounts. Well, on most accounts. The key is to consider relative quality. At the beginning of a sprint, the standards of quality for an MVP are framed by the sprint goals and objectives. If it meets those goals, the team has successfully created a quality MVP. If measured against the external marketplace or the quality expectations of the customer, the MVP will almost assuredly fail inspection. An MVP is not permanent. Agile teams should expect to throw away several, maybe even many, MVPs on their way to the final product. If they aren’t, then it is probable they are not learning what they need to about what the customer actually wants. In this respect, waste can be a good, even important thing. The driving purpose of the MVP is to rapidly develop the team’s understanding of what the customer needs, the problems they are expecting to have solved, and the level of quality necessary to satisfy each of these goals. MVPs are not the truth. They are experiments meant to get the team to the truth. By virtue of their low-quality, low-cost nature, MVPs quickly shake out the attributes to the solution the customer cares about and wants. The solid empirical foundation they provide is orders of magnitude more valuable to the Agile team than any amount of speculative strategy planning or theoretical posturing. Any company interested in being successful, whether offering a product or service, promises quality to its customers. Those that don’t deliver, die away. Those that do, survive. Those that deliver quality consistently, thrive. Seems like easy math. But then, 1 + 1 = 2 seems like easy math until you struggle through the 350+ pages Whitehead and Russell1 spent on setting up the proof for this very equation. Add the subjective filters for evaluating “quality” and one is left with a measure that can be a challenge to define in any practical way. Math aside, when it comes to quality, everyone “knows it when they see it,” usually in counterpoint to a decidedly non-quality experience with a product or service. The nature of quality is indeed chameleonic – durability, materials, style, engineering, timeliness, customer service, utility, aesthetics – the list of measures is nearly endless. Reading customer reviews can reveal a surprising array of criteria used to evaluate the quality for a single product. The view from within the company, however, is even less clear. Businesses often believe they know quality when they see it. Yet that belief is often predicate on how the organization defines quality, not how their customers define quality. It is a definition that is frequently biased in ways that accentuate what the organization values, not necessarily what the customer values. Organization leaders may define quality too high, such that their product or service can’t be priced competitively or delivered to the market in a timely manner. If the high quality niche is there, the business might succeed. If not, the business loses out to lower priced competitors that deliver products sooner and satisfy the customer’s criteria for quality (see Figure 1). Certainly, there is a case that can be made for providing the highest quality possible and developing the business around that niche. For startups and new product development, this may not be be best place to start. On the other end of the spectrum, businesses that fall short of customer expectations for quality suffer incremental, or in some cases catastrophic, reputation erosion. Repairing or rebuilding a reputation for quality in a competitive market is difficult, maybe even impossible (see Figure 2). The process for defining quality on the company side of the equation, while difficult, is more or less deliberate. Not so on the customer side. Customers often don’t know what they mean by “quality” until they have an experience that fails to meet their unstated, or even unknown, expectations. Quality savvy companies, therefore, invest in understanding what their customers mean by “quality” and plan accordingly. Less guess work, more effort toward actual understanding. Furthermore, looking to what the competition is doing may not be the best strategy. They may be guessing as well. It may very well be that the successful quality strategy isn’t down the path of adding more bells and whistles that market research and focus groups suggest customers want. Rather, it may be that improvements in existing features and services are more desirable. Case in point: Several months back, I was assembling several bar clamps and needed a set of cutting tools used to put the thread on the end of metal pipes – a somewhat exotic tool for a woodworker’s shop. Shopping around, I could easily drop $300 for a five star “professional” set or $35 for a set that was rated to be somewhat mediocre. I’ve gone high end on many of the tools in my shop, but in this case the $35 set was the best solution for my needs. Most of the negative reviews revolved around issues with durability after repeated use. My need was extremely limited and the “valuable and good enough” threshold was crossed at $35. The tool set performed perfectly and more than paid for itself when compared with the alternatives, whether that be a more expensive tool or my time to find a local shop to thread the pipes for me. This would not have been the case for a pipefitter or someone working in a machine shop. By understanding where the “good enough and valuable” line is, project and organization leaders are in a better position to evaluate the benefits of incremental improvements to core products and services that don’t break the bank or burn out the people tasked with delivering the goods. Of course, determining what is “good enough” depends on the end goal. Sending a rover to Mars, “good enough” had better be as near to perfection as possible. Threading a dozen pipes for bar clamps used in a wood shop can be completed quite successful with low quality tools that are “good enough” to get the job done. 1Volume 1 of Principia Mathematica by Alfred North Whitehead and Bertrand Russell (Cambridge University Press, page 379). The proof was actually not completed until Volume 2.